Chipotle Mexican Grill hopes that some free food will help them to win back some valued customers. The chain will launch its Chiptopia promotion for the summer beginning Friday that will reward customers for the number of times they visit. At the lowest level, diners who buy either four burritos or four other entrees will get the fifth free. The promotion was not aimed so much at luring in new customers but inducing the better patrons of the chain to return on a more regular basis. This is about getting customers who used to eat the most frequent or about 25 times per year, to return and start buying burritos again, said an analyst on Wall Street. The new promotion shows that the eateries in the fast casual industry such as Chipotle will be creative in order to compete against the chains in the fast food industry, which have seen huge discounts of late. 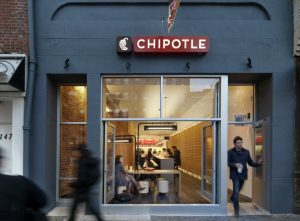 It also shows to what length Chipotle will go to earn back its core customer after enduring huge amounts of bad publicity due to scares during 2015 involving norovirus and E.coli. Chiptopia, unlike previous promotions, is longer lasting and provides an opportunity for a number of rewards over the upcoming three months, said a spokesperson from Chipotle. The spokesperson added that the restaurant chain would explore options for a reward program that is longer-term so it is a possibility that the benefits will extend even beyond this summer. From July through September, qualifying purchases that must be a minimum of $6 prior to taxes can elevate customers at Chipotle to three possible levels – mild, medium and hot. As a patron visits more, the rewards increase. More incentives or what are called bonus rewards will be available for those customers that reach status levels each of the three months. The highest level will be Chipotle eaters that maintain the state of hot each of the three months will get catering for 20 that has a value of $240. The Chipotle spokesperson said the reward program was unlike any others anywhere in the industry, and believes Chipotle customers will appreciate all the generous rewards being offered them. Not all industry analysts are sure this will work in returning Chipotle back to the fast casual restaurant summit. Others believe it to be a good start but that other promotions will likely be necessary to attract even more of its former customers back.